White, Birch, Oxford, Sport Gray, Brown, Forest, Pink, Maroon, Navy, Red, Royal, Vegas Gold. xxxlarge White, Sport Grey, Black, Safety Orange, Safety Green. Natural, White, Ash, Sport Gray, Black, Carolina Blue, Forest, Indigo Blue, Maroon, Navy, Orange, Cherry Red, Chocolate, Black, Gold, Irish Green, Kiwi, Honey, Light Blue, Light Pink, Paprika, Purple, Red, Royal, Sand, Serene Green, Tan, Violet, Yellow Haze. Washed Cotton 6-Panel Low Profile, Unstructured, Adjustable. Cloth Strap, Brass Buckle Closure. 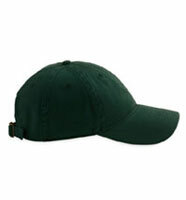 All prices include your choice of one of the Holfield Left Chest Embroidered Logo's. Tax will be added on the order form 7.5% in Ontario County. I will confirm your order based on your contact information. Orders can be placed by e-mail and followed by a check in the mail, or simply by mail. I will drop off order forms to the club, for some of you that may be the easiet. I will make arrangements to deliver to the club or you can pick your order up.